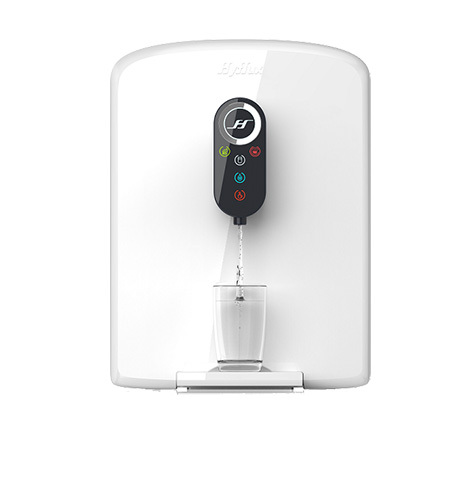 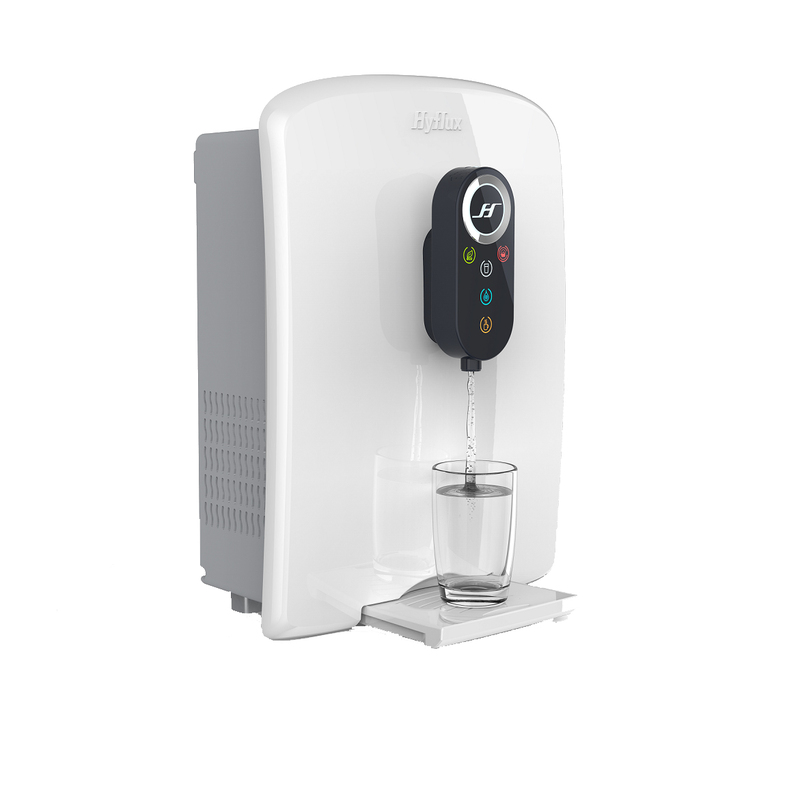 Hot and Cold water at one touch, Eco Mode power consumption to minimise, Lock-Child Protection Mode available, Unique filter cartridges replacement reminder and Compact & space saving. 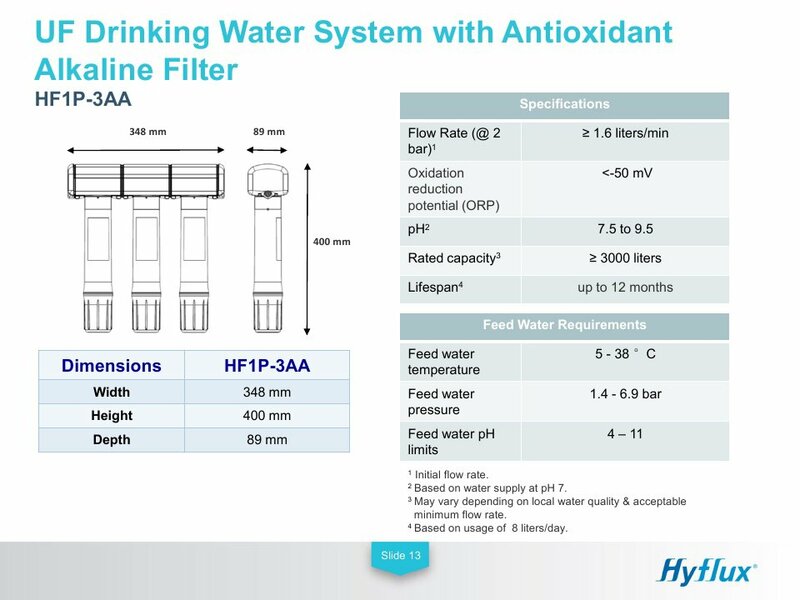 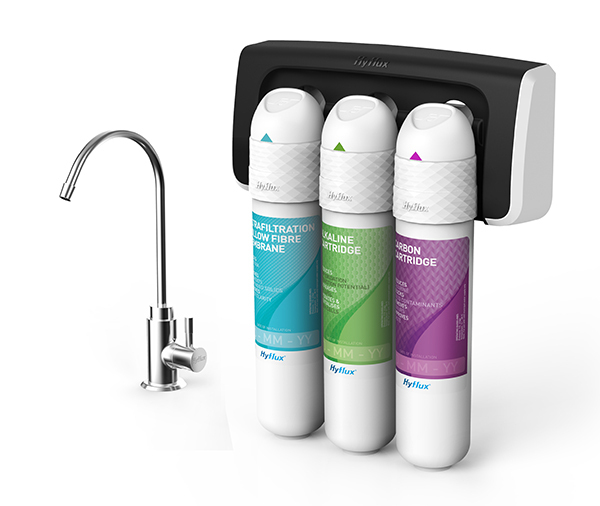 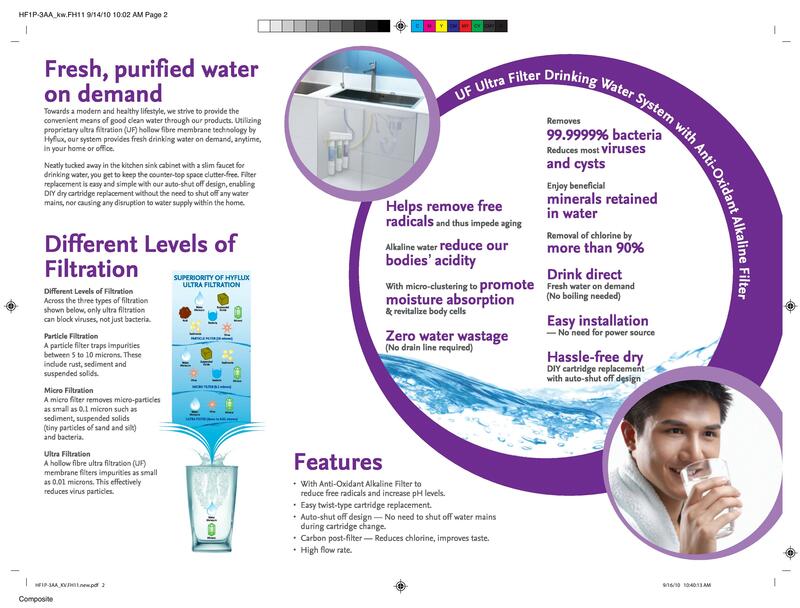 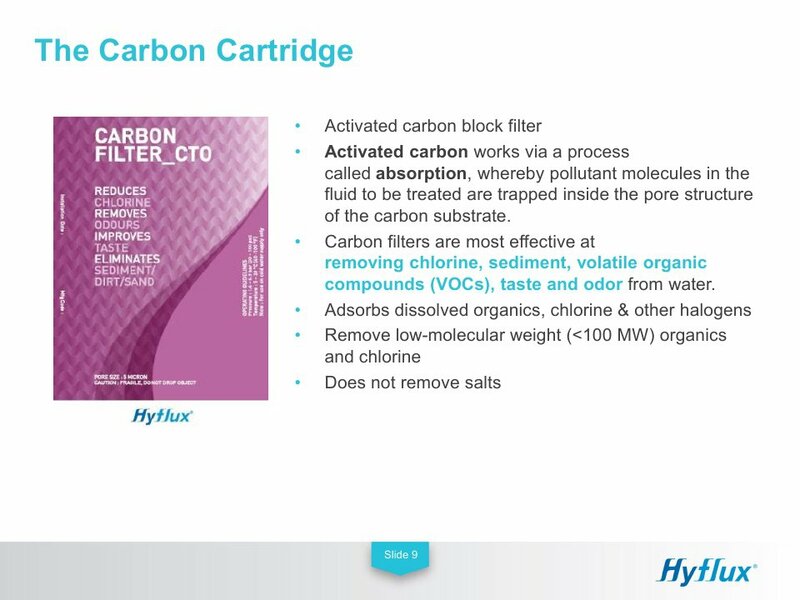 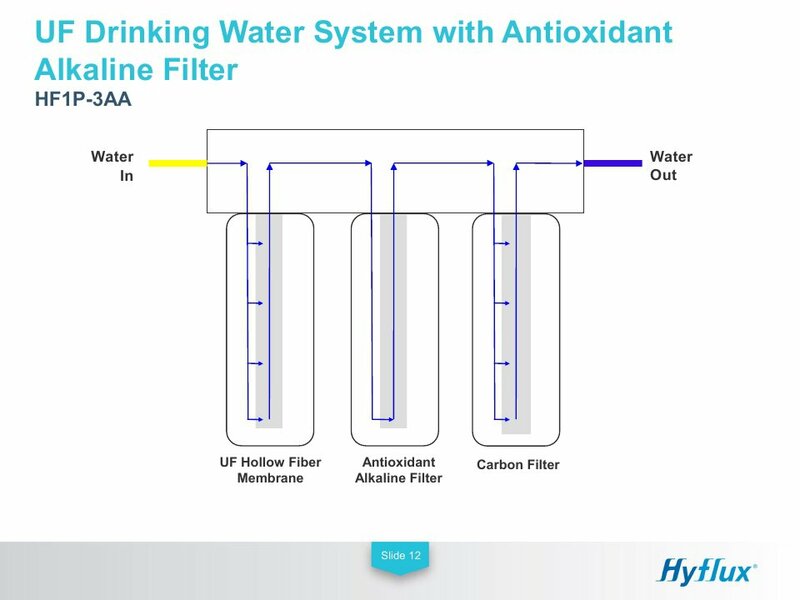 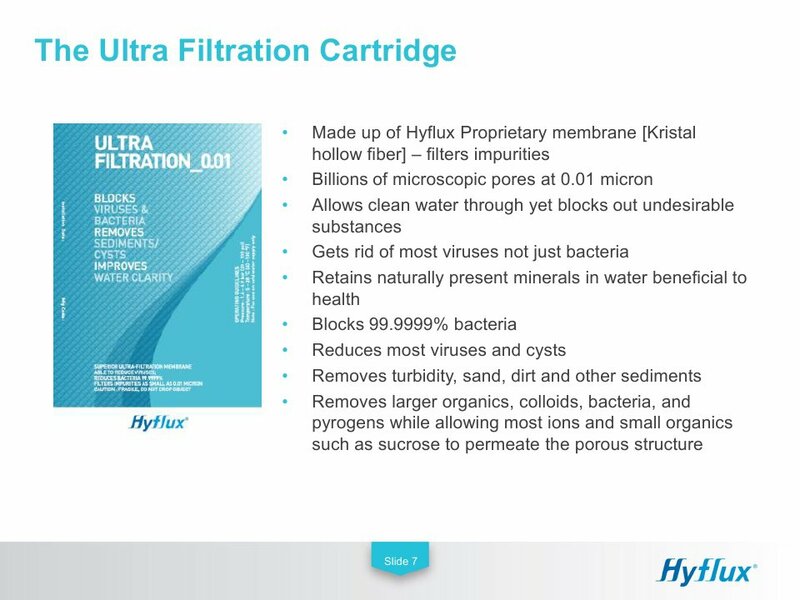 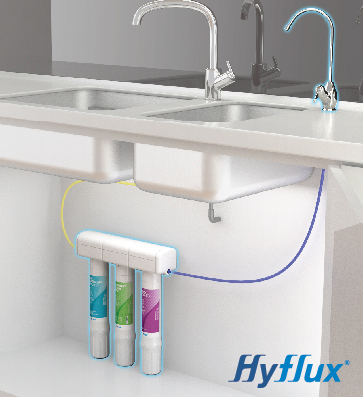 Utilizing proprietary ultra-filtration (UF) hollow-fiber membrane technology by Hyflux, our system provides fresh drinking water on demand, anytime, in your home or office. 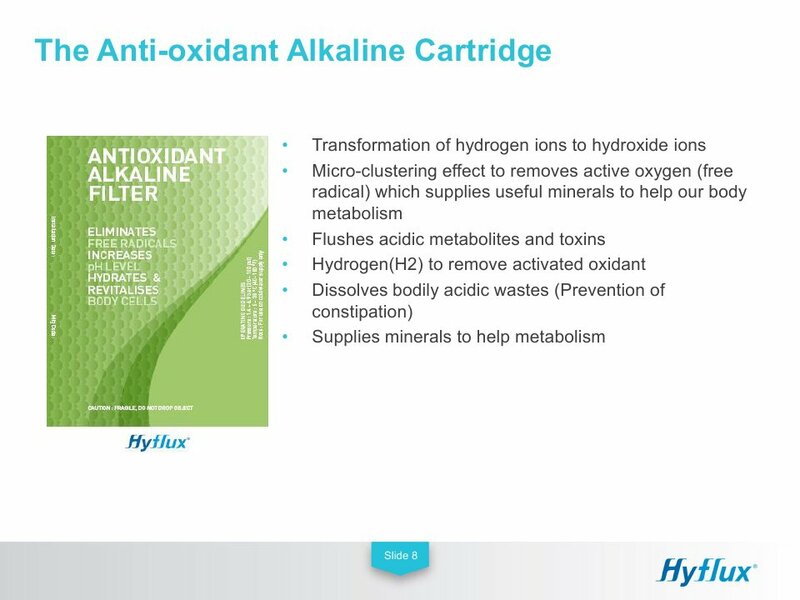 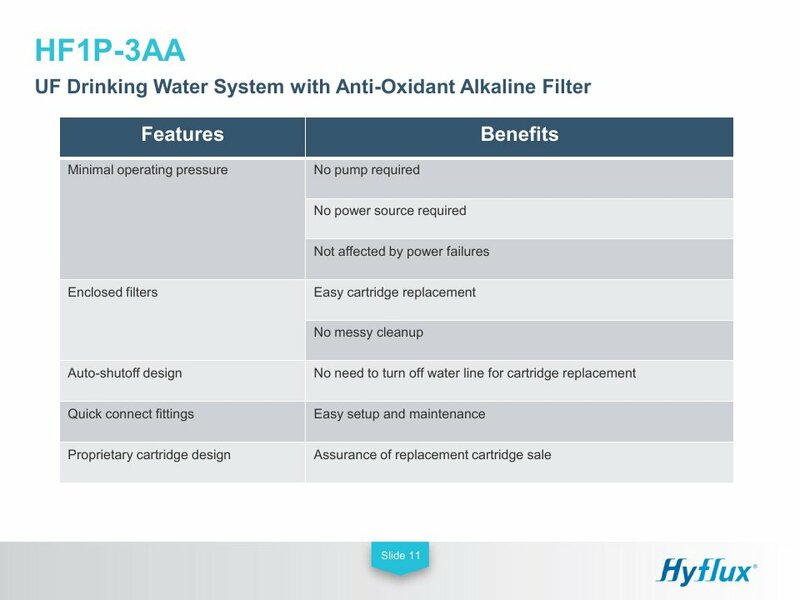 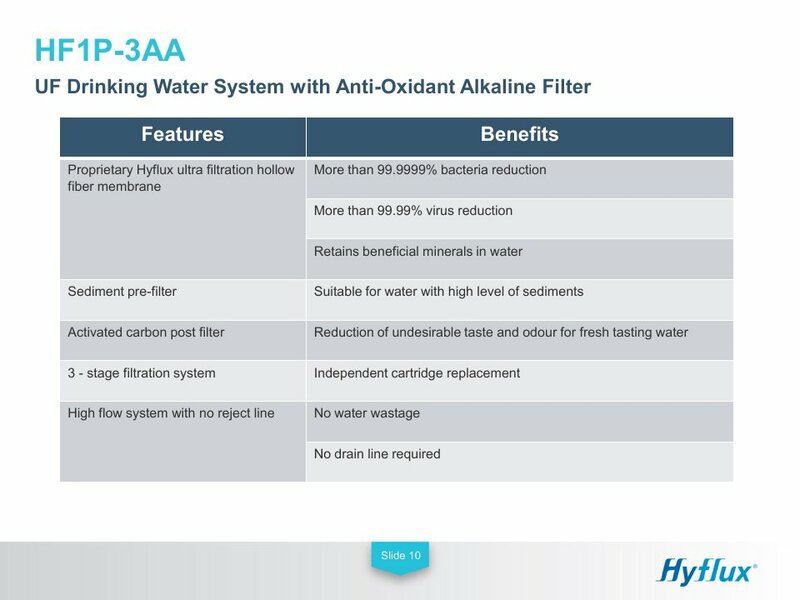 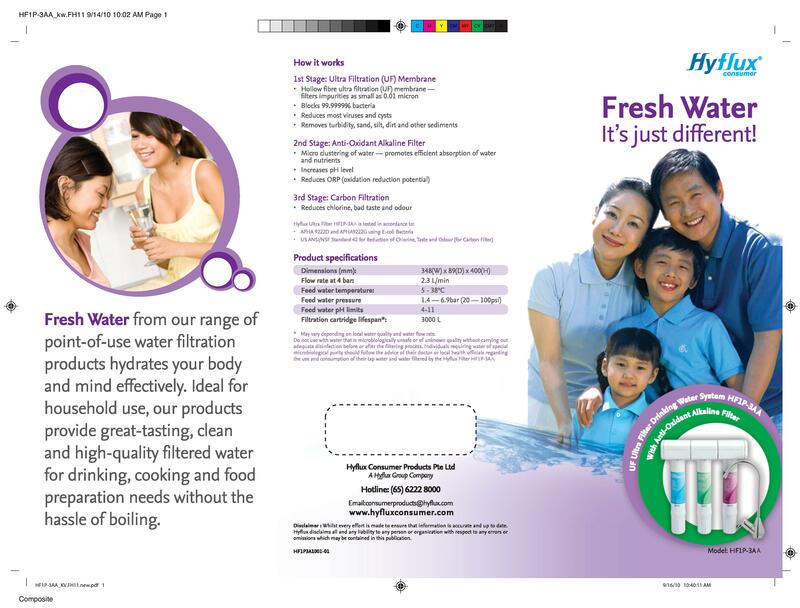 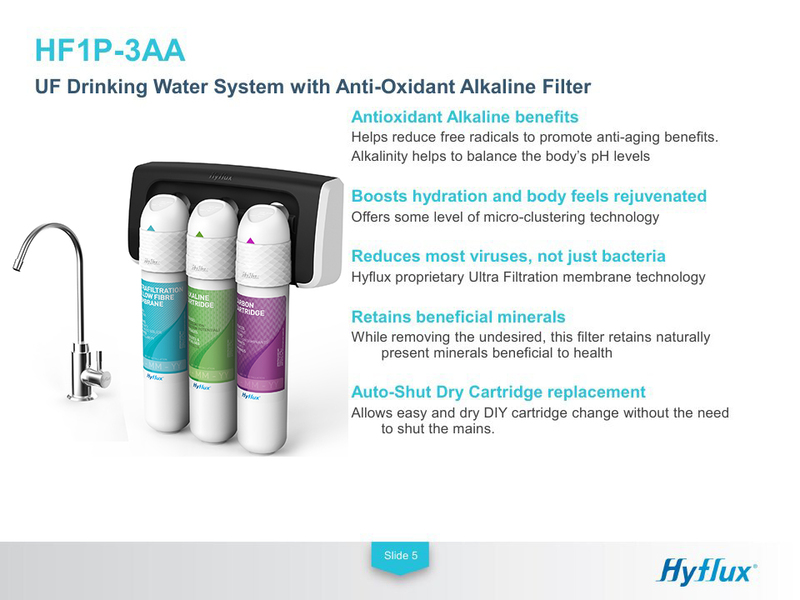 Our premium antioxidant alkaline filter reduces free radicals and increase pH level of your drinking water. 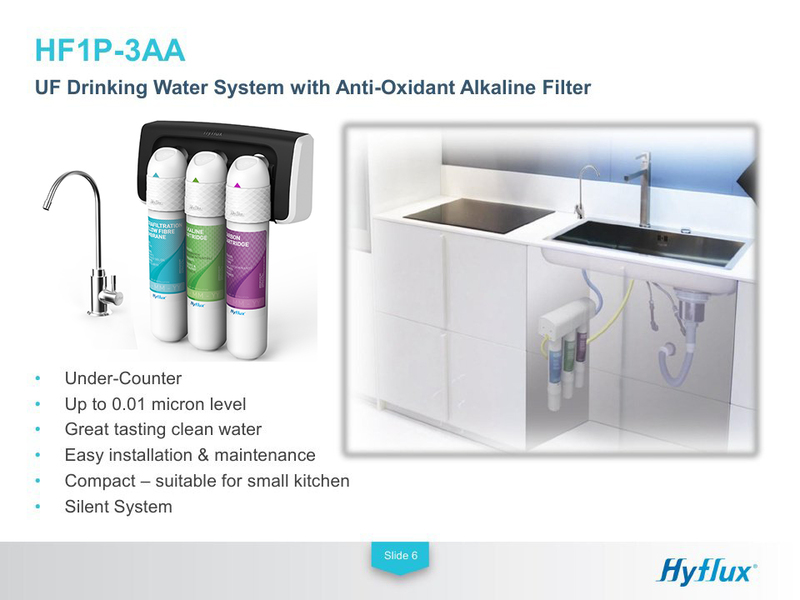 Enjoy good, clean water – an important element for a healthy lifestyle; through our exciting range of water filtration products.